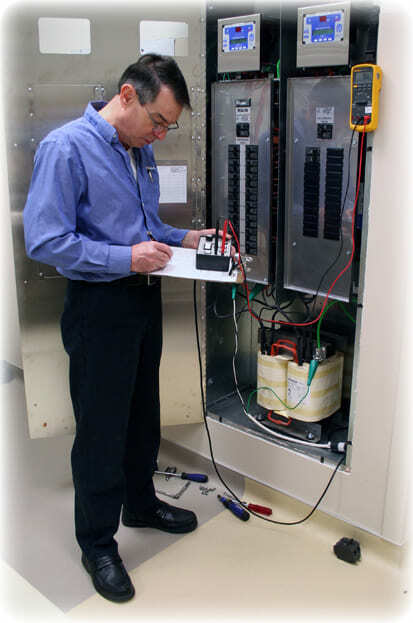 PG LifeLink’s Field Service Technicians are qualified on all aspects of Isolated Power Systems including installation, Line Isolation Monitor (LIM) annual testing, troubleshooting, and recertification. Our Technicians are certified to thoroughly inspect and test Isolated Power equipment in accordance with the most recent edition of the NFPA 99 (Health Care Facilities Code) Articles 6.3.2 & 6.3.3 and NFPA 70 (National Electric Code) Article 517. 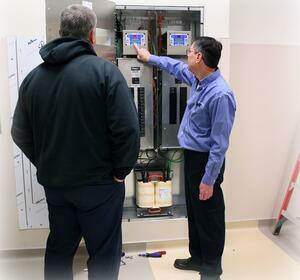 While on site, our Technicians provide training for clinical and facility maintenance staff on the proper use and maintenance of Isolated Power Systems. From Factory Start-up Commissioning to Annual Testing, you can count on PG LifeLink Field Service Technicians to keep your facility up to date and compliant. 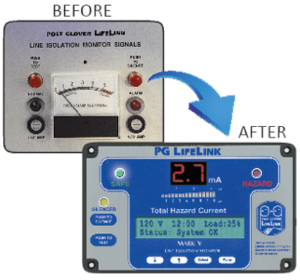 Since 1957, PG LifeLink has been the leader in product innovation and customer service in the Isolated Power industry. Our extensive knowledge and experience in designing, building, testing and servicing Isolated Power Systems make us an excellent partner for your facility. 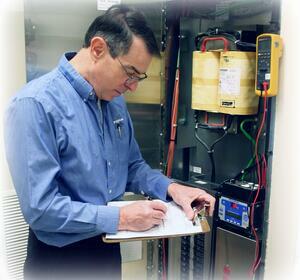 Upgrading a broken or inaccurate LIM with a Retrofit Kit can extend the life of the Isolated Power System. 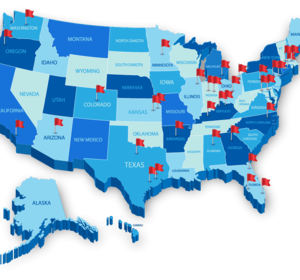 PG LifeLink offers commissioning and recertification, annual field testing, upgrades and retrofits for all Isolated Power Systems in all 50 states and Canada.